Drawing attention to a product’s USPs is useful in helping customers relate to a product, answering common doubts they may have when buying online. For online fashion retailers, this is vitally important in the absence of being able to touch, feel or try on an item of clothing. Let’s consider jeans, for example. 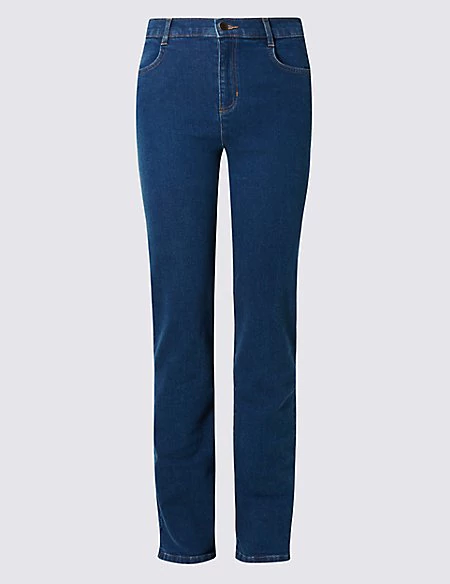 On Marks & Spencer’s website today, you can buy a pair of ‘Mid Rise Straight Leg Jeans’ for £15 from their ‘M&S Collection’ range. 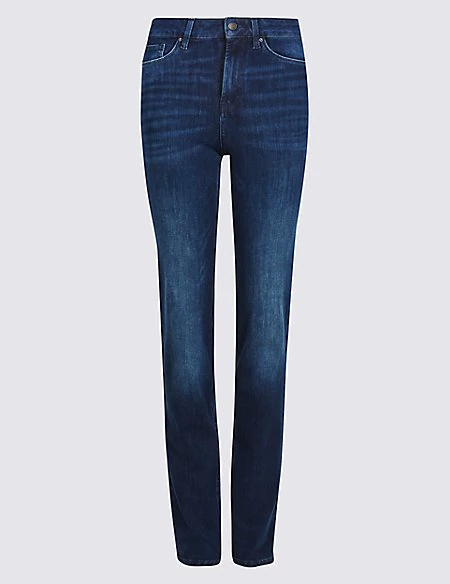 You can also buy a pair of ‘360 Contour Mid Rise Straight Leg Jeans’ for £45, from the same collection. On the face of it, the product imagery doesn’t look too dissimilar, and the product descriptions are identical — word-for-word. The only apparent difference I can see is in the product composition. The cheaper option is made from 99% cotton and 1% elastane, whereas the more expensive alternative comprises of 90% cotton, 5% elastomultiester and 5% elastane. It took some time to spot though! Based on this knowledge alone, would you be inclined to spend an extra £30? USP Highlighting — Who Does It Best? In this particular case, M&S’ content design isn’t working hard enough to convince users to purchase the more expensive alternative. It’s easy enough to fix though. Let me show you some examples of fashion retailers, who do a much better job of highlighting key features and benefits. 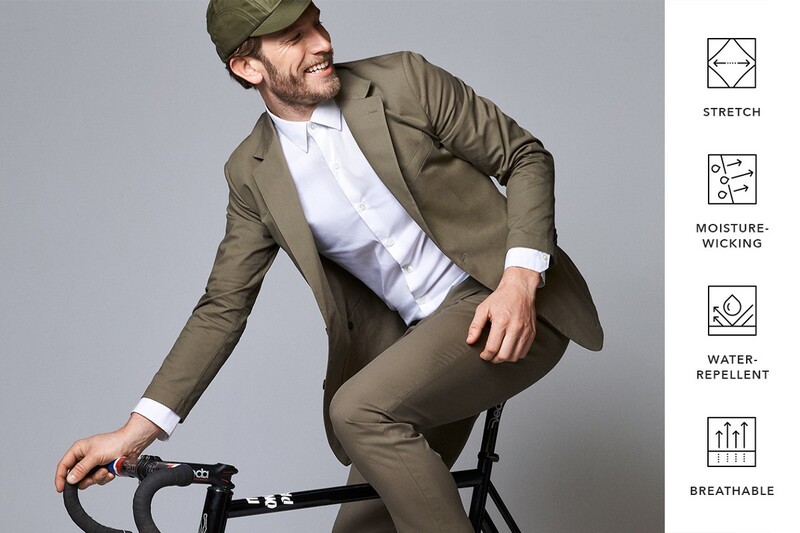 Specialising in a new category of ‘Performance Professional’ clothing, Ministry of Supply’s website is oozing with USP goodness. Something as simple as offering a zoomed in product shot, can go a long way to emphasising the quality of the material, or the texture of the garment, which otherwise, may go unnoticed. They make good use of animated gifs to highlight standout features like stretchiness, breathability and the wrinkle-free nature of some of their products. 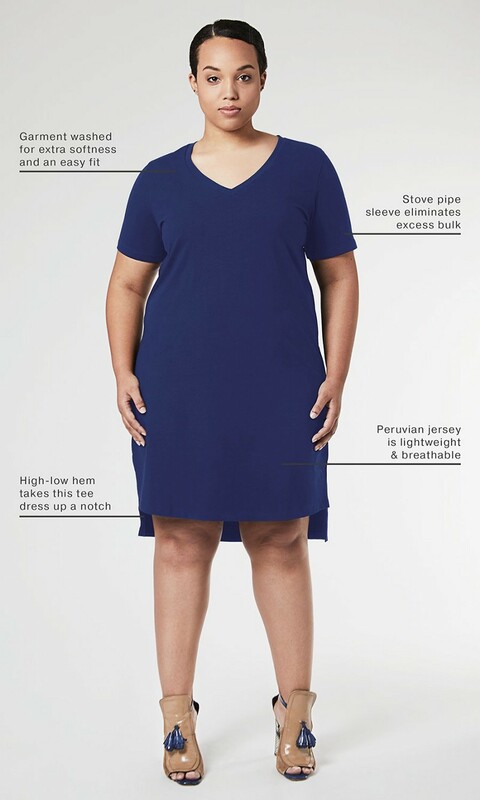 NY-based, plus-size fashion game-changers, Universal Standard, do a great job in providing annotated notes on their product photography, sharing information on the style, composition, benefits and features of all of their garments. 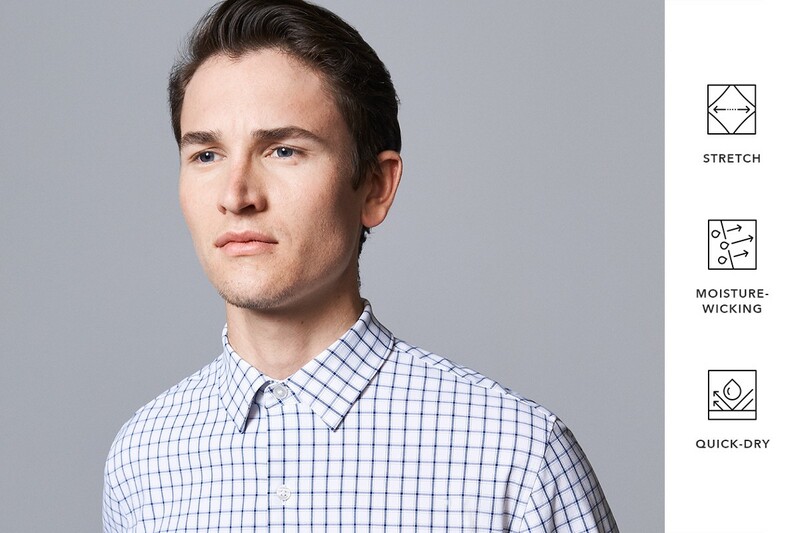 Smart ‘basics’ menswear retailer, Mack Weldon, offer a mashup of what both Ministry and Supply, and Universal Standard serve up, and even more. 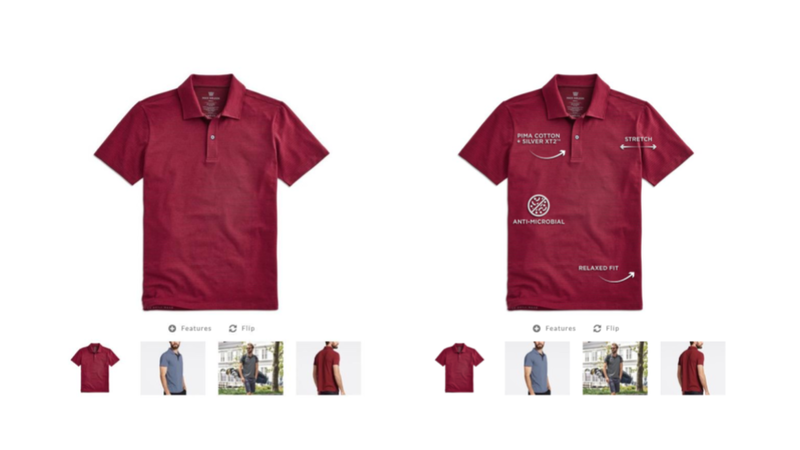 One standout feature, on select product pages, is the ‘Features’ toggle, which when clicked, surfaces an annotated overlay above the product image, in much the same vein as Universal Standard. I also really like the half-and-half effect they have used across their hero images. Half the image represents the product shot, while the other half, represents a sketched outline of it, with numbered markers correlating back to a series of USPs. 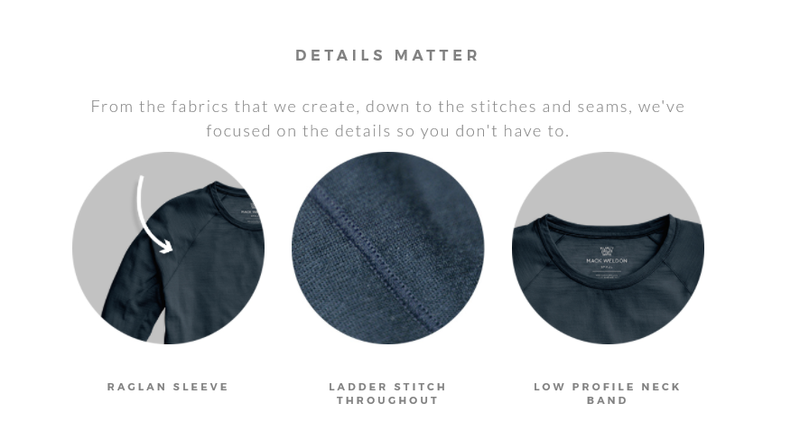 Renowned for offering an excellent customer experience, Bonobos, use iconography to draw attention to product features. While a unique initiative, it isn’t immediately obvious what some of the icons represent. There are text labels in support, but it’s not as useful a content offering, compared to some of the other examples highlighted above. 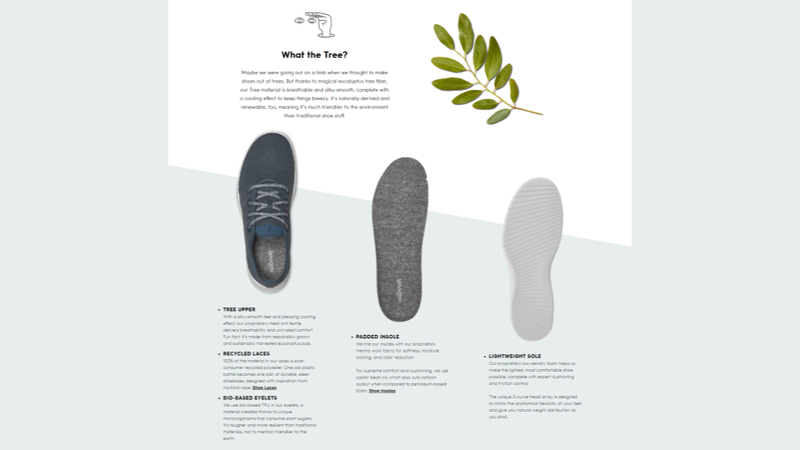 Rapidly gaining fame for their eco-friendly wool shoes, Allbirds is the masterstroke of New Zealand native, Tim Brown, and renewables expert, Joey Zwillinger. 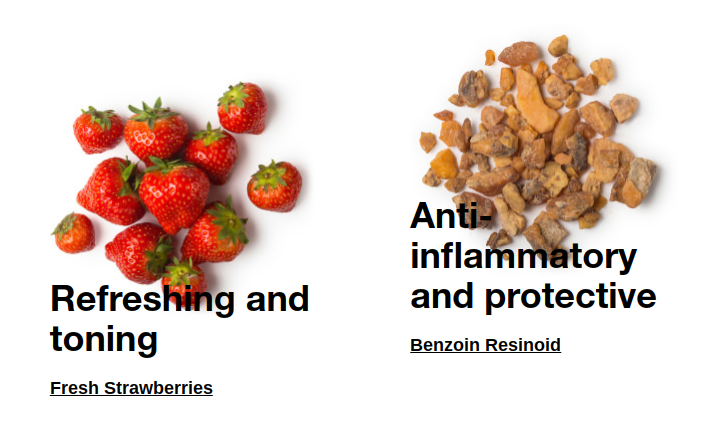 These chaps bring something different to the table here, selling their product through the art of storytelling (with sprinkles of magic in the form of parallax scrolling). A great option to consider for retailers specialising in just one, or a handful of products. Mattress companies like Casper, Simba, Purple and Helix Sleep all adopt similar approaches too. Who Does It Well Outside of Fashion Retail? 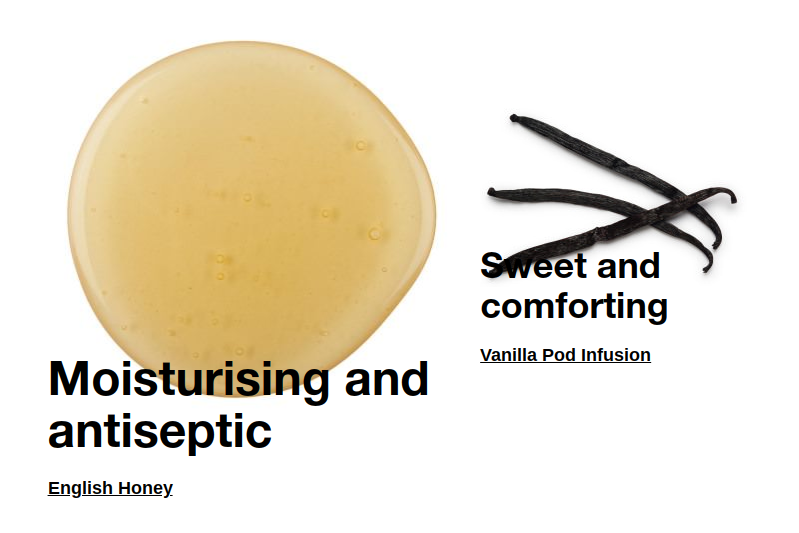 Away from fashion retail, handmade cosmetics retailer, LUSH, are another great example to explore further online. Through the use of vibrant, striking imagery and video content, and by drawing attention to the natural ingredients (and safe synthetics) that go into each of their products, LUSH do a grand job of selling the properties and benefits of their range. Hopefully, the above tips and examples will help drive home the importance of emphasising your products’ USPs, in an attempt to make it more transparent to your customers, the reasons for price differences between what they may perceive to be like-for-like items. Better yet, they may even plump for that higher-priced alternative too.